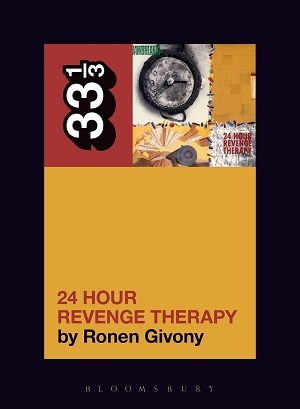 To celebrate the upcoming release of Jawbreaker’s 24 Hour Revenge Therapy, author Ronen Givony will be guest blogging all week. Up first: why he chose to write about this album in particular, and why it was simultaneously the easiest and most difficult choice a Jawbreaker fan could make. It’s a question that seems to come up a lot, from friends and strangers alike: why did I choose to write about Jawbreaker, and why 24 Hour Revenge Therapy? Unlike these sources, I can’t claim to have lived in the Bay Area during Jawbreaker’s heyday, or even to have seen them live in concert before they broke up, in 1996. As I mention in the book, I knew none of the band members before sending in the original proposal, and none of the principals from the larger Gilman/Bay Area scene that they circulated in. 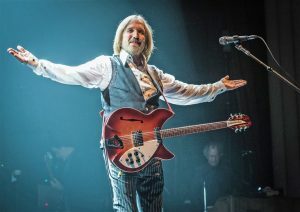 And yet: it was never remotely a question that, if I were to write a book about one album, and one band, it would have to be 24 Hour Revenge Therapy. There are personal and sentimental reasons for this, of course, which no one needs to hear about. But it’s also true that 24 Hour is not only the defining album of its particular moment, and scene, but a high point for songwriting in the ’90s, and a work that easily stands with the best of its contemporaries: Paul Westerberg, PJ Harvey, Stephin Merritt, Liz Phair, Stephen Malkmus, and Elliott Smith. That no one had written about the album or the band for 33 1/3 seemed like a gift, and an opportunity. Indeed, as the book developed, it was not the only gift that would miraculously come my way. They’re not a band that everyone knows, to put it mildly. But for reasons that I try to articulate in the book, Jawbreaker was a band that meant everything to the people who did know about them. There’s no evidence or footnote I can cite in support of this assertion, although Emily Flake comes close. In a word, they were more than a band, they were the reason you got into punk and underground music in the first place. For a certain type of person—the type who takes note of lyrics and voices on the page, as much as on record; who enjoys poetic language and the elevated use of symbolism, imagery, rhyme, diction, and sound—Jawbreaker is a band that rewards your time. (They’re also a band for people who could care less about any of that.) They don’t always make their meaning obvious, or make it easy to follow their lyrical left turns (“Threw twelve and kissed the thirteenth finger”?). They are a band for people who enjoy not having everything spelled out for them, who find themselves wondering about the meaning of a song or a lyric long after a record is over. They’re also a band that seems to inspire a thorough and persistent evangelism on the part of its fans. To put it another way: there’s essentially no such thing as a moderate or half-hearted Jawbreaker fan. In this respect, I suppose, and this respect only, they’re a bit like Phish, or Insane Clown Posse: for those who are in, you’re in all the way. It will come as little surprise, then, that Jawbreaker’s partisans feel as strongly about the merits of their four studio albums as they do anything not involving health or shelter. There are people who will tell you with a straight face that the band never did anything as good as their first record, Unfun. (Preposterous, but I admire the contrarian streak.) There are quite a few Jawbreaker people who will say their favorite album is Bivouac, and I absolutely see their point, as well as a vocal minority of people who say that the band went out on a high note, with Dear You. There are excellent 33 1/3 titles to be written about all of these albums, and I sincerely hope to buy them someday. For me, though, and for the majority of Jawbreaker fans, it always had to be 24 Hour Revenge Therapy. In the coming days, I’ll try to make good use of this space by posting some of the (copious) Jawbreaker live footage on YouTube, dating from the band’s earliest days, that I made use of in writing about 24 Hour. I’ll also post some of the “director’s cut” material that rapidly had to be excised after Jawbreaker announced their long-awaited and wished-for reunion, in April of last year. See you tomorrow.